A few pictures from around the house. 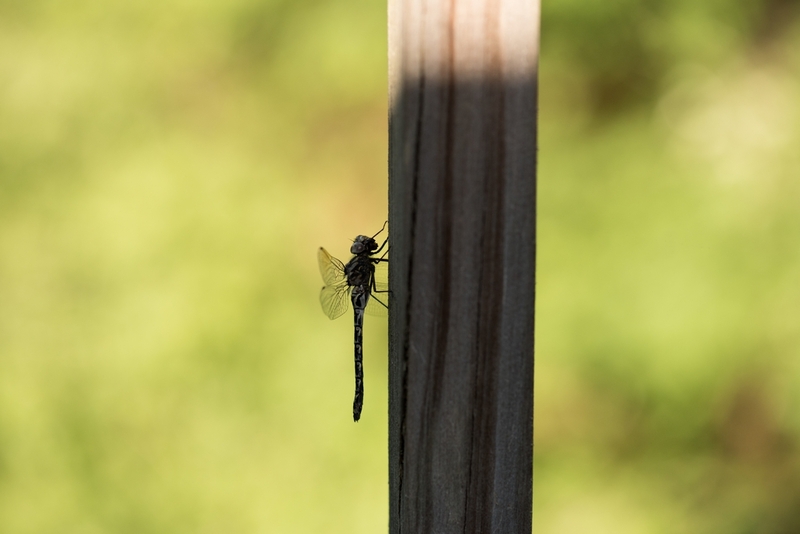 One from the summer, when a dragonfly was hanging out on the porch. 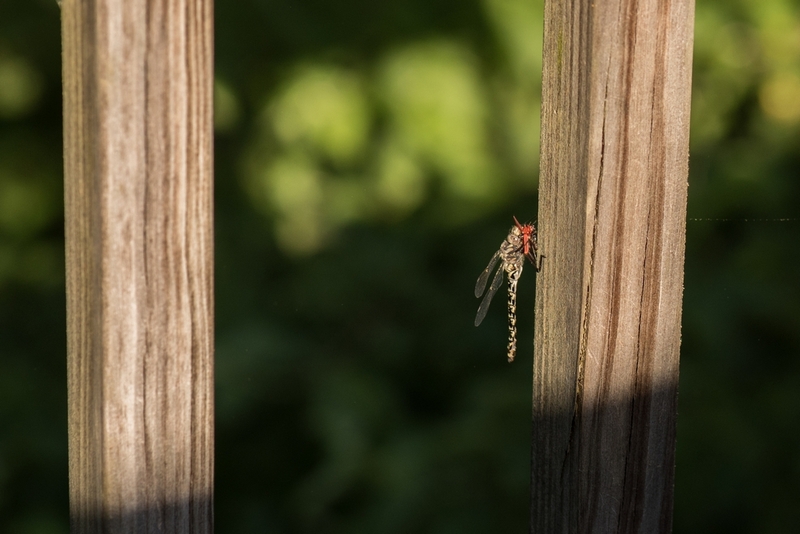 The reason it was hanging there is because it was busy eating a meal. We aren't entirely certain what it was eating. 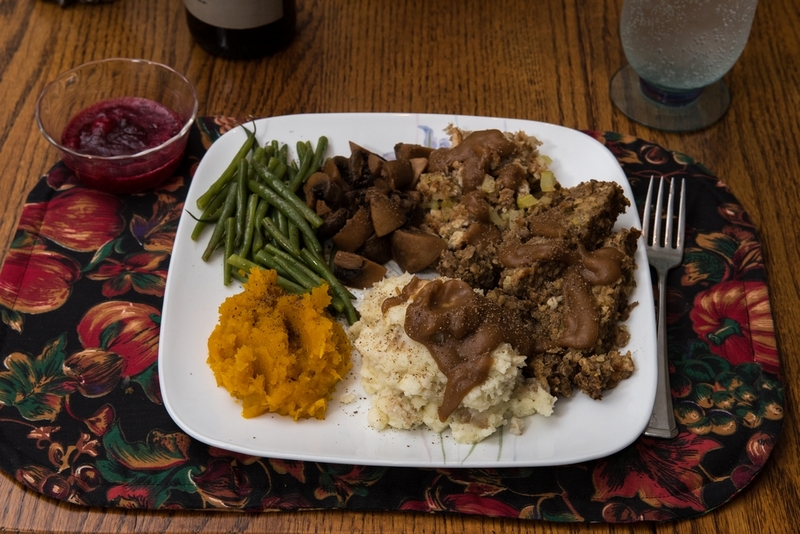 And then our Thanksgiving feast. We traded in the 2009 Prius for a 2016 Prius 3 Touring, in Sea Glass. We had some fun pictures recently that we want to share with you. First, just for contrast, a picture from this winter. We didn't get a lot of snow, really. Now that you have cooled off with that brisk looking scene, we jump forward to Spring. 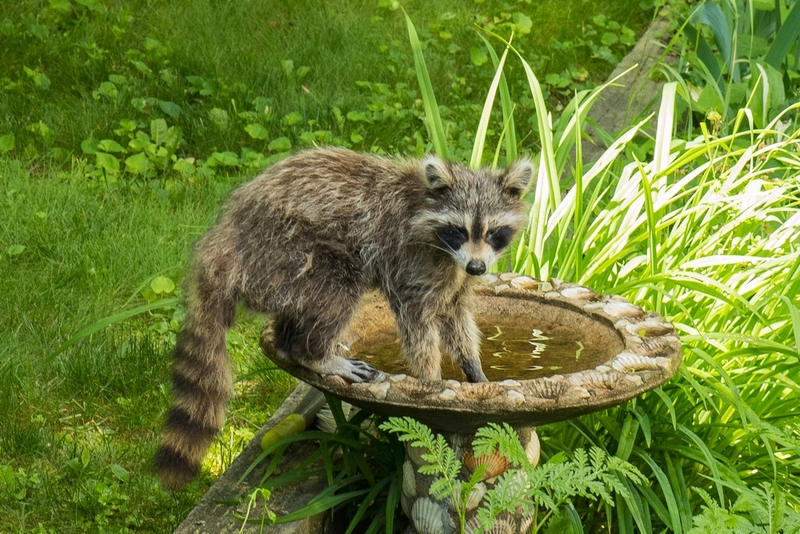 A raccoon woke from its nap and decided to take a drink from one of our birdbaths. (You can just see the birdbath in the picture above, covered with snow; it is the one on the left.) 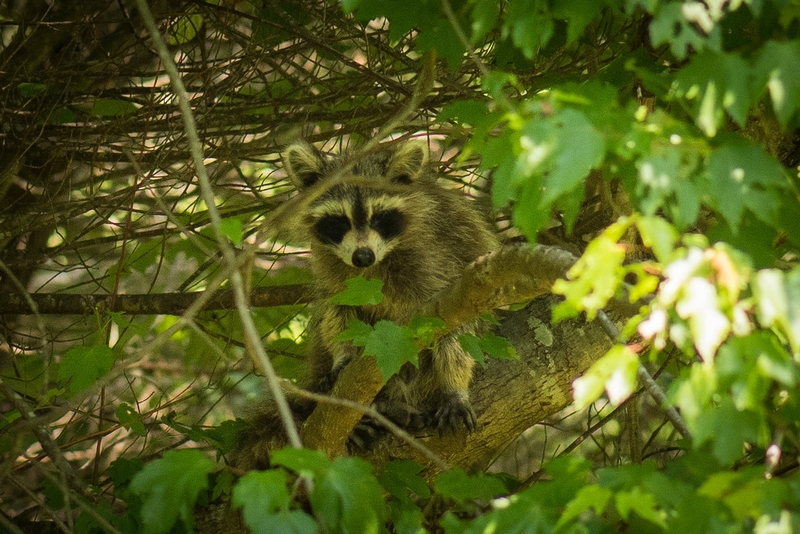 Rocky Raccoon then wandered over to a different part of the yard and climbed into a tree. 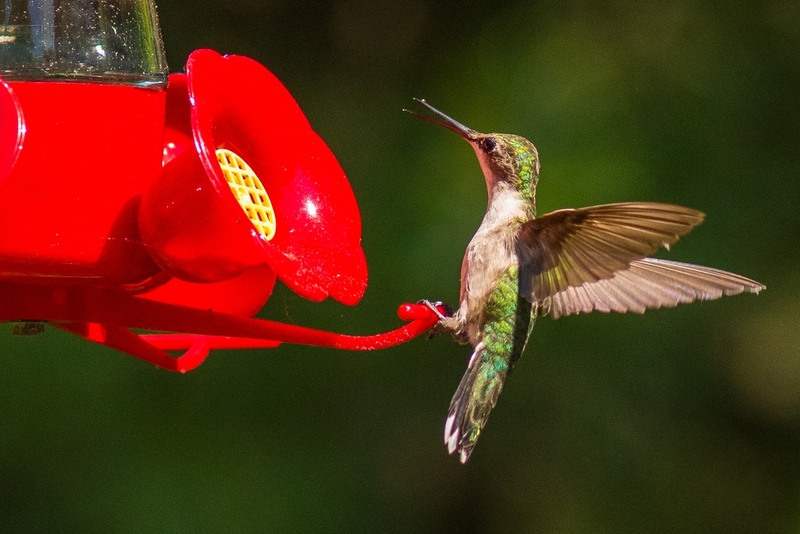 As many of you know, we are very fond of hummingbirds. 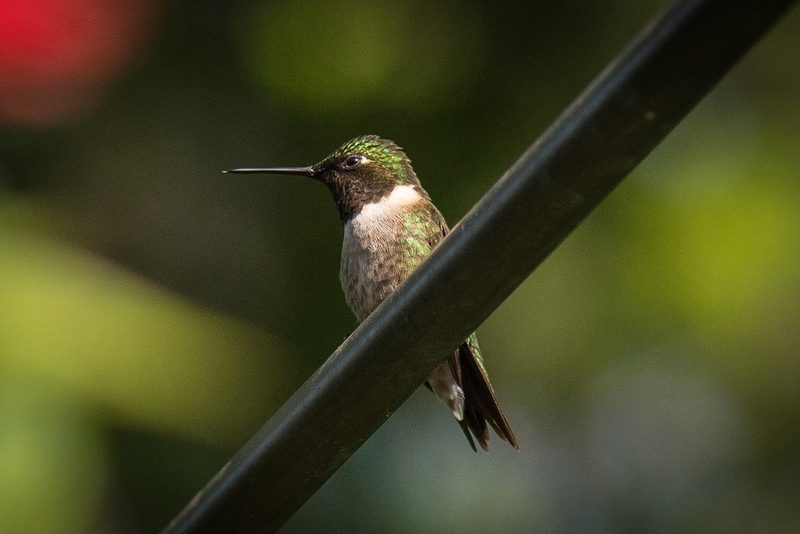 Anne adores watching them flit around the feeders. 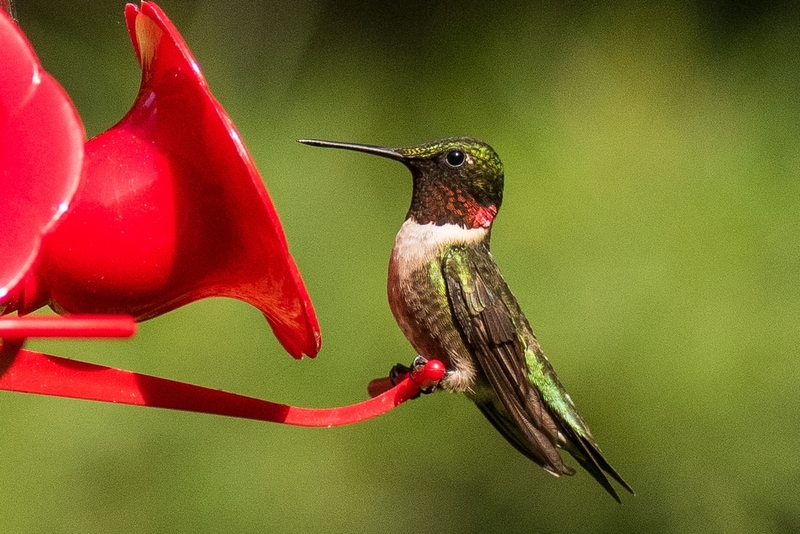 Paul took out a camera and got some pictures of some at & near our feeders. 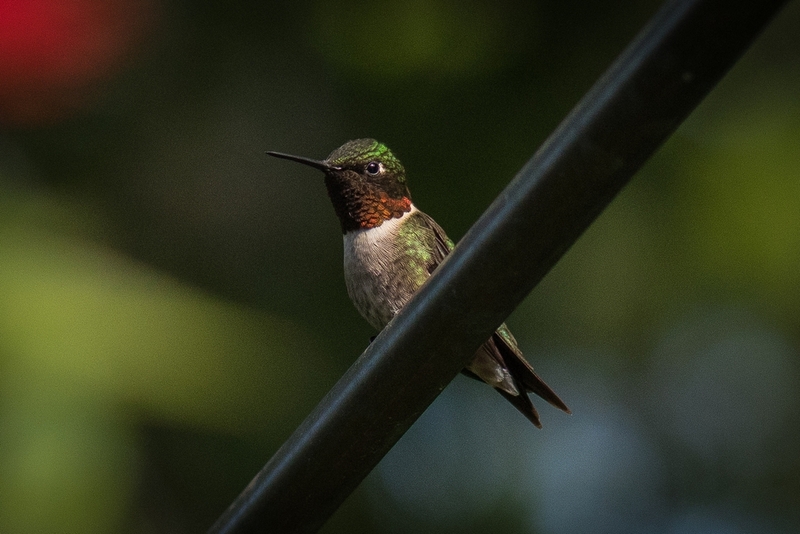 A male Ruby Throated Hummingbird; you can see the iridescent red on the chin. 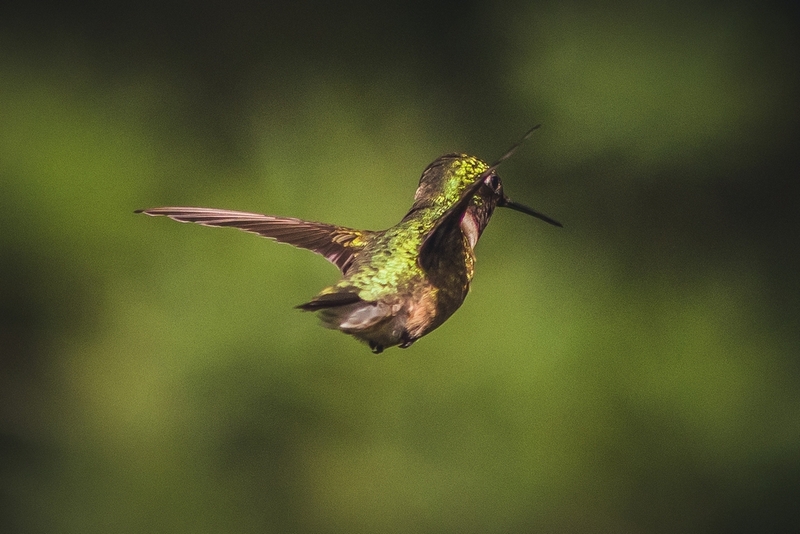 On rare occasions, We see them with their beaks open. 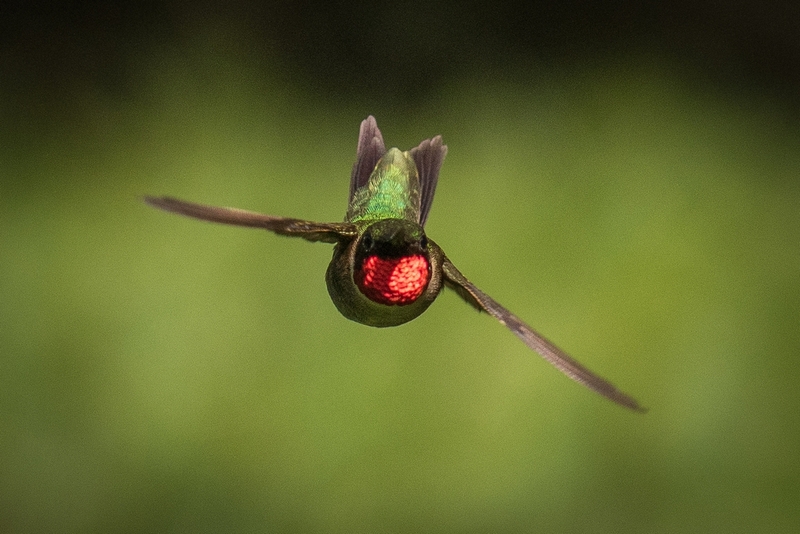 Hummingbirds are very territorial. 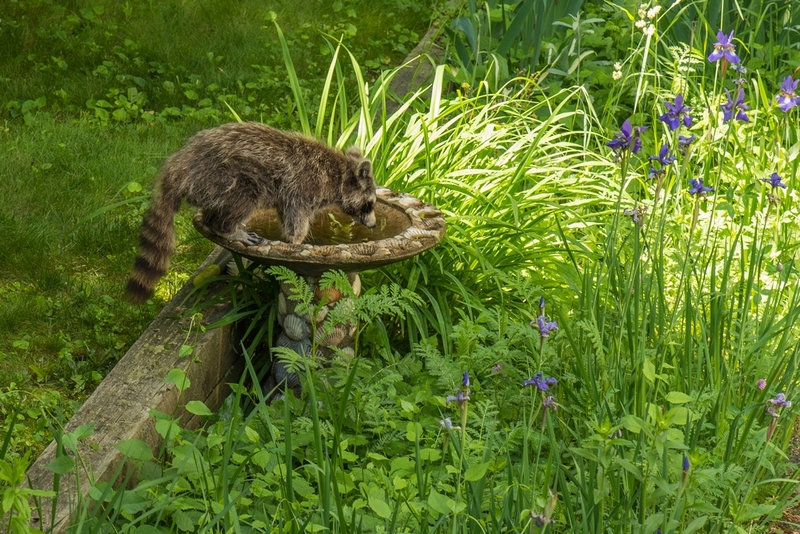 What we have found is that one male tends to be the Alpha, and will claim the feeder or feeders as his own. 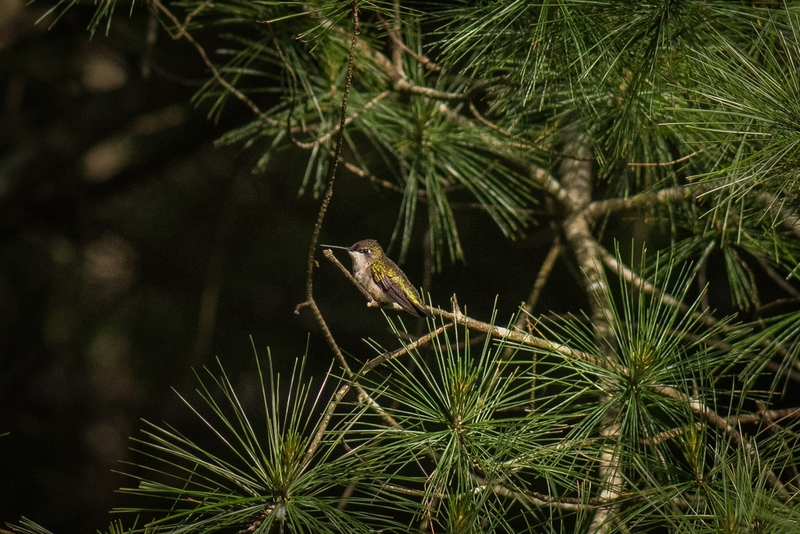 He will then spend huge amounts of his day perched either on the pole where the feeder hangs or in a nearby tree. 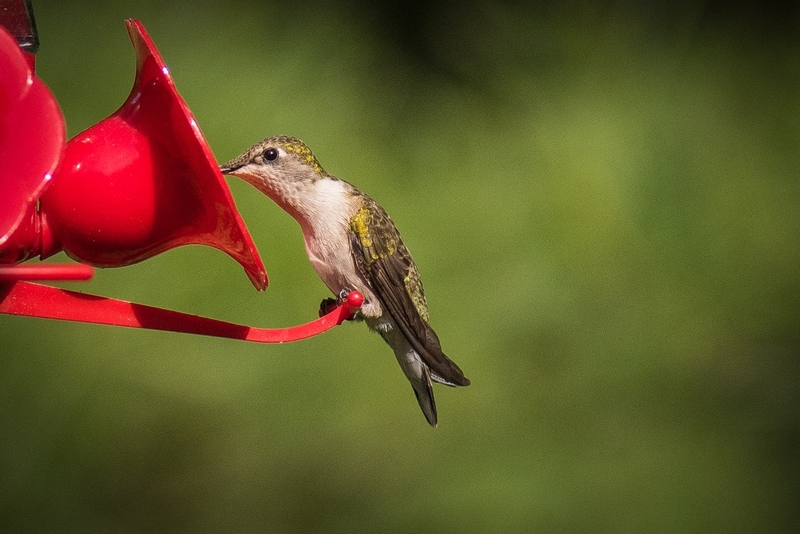 His goal is to chase off other hummingbirds. 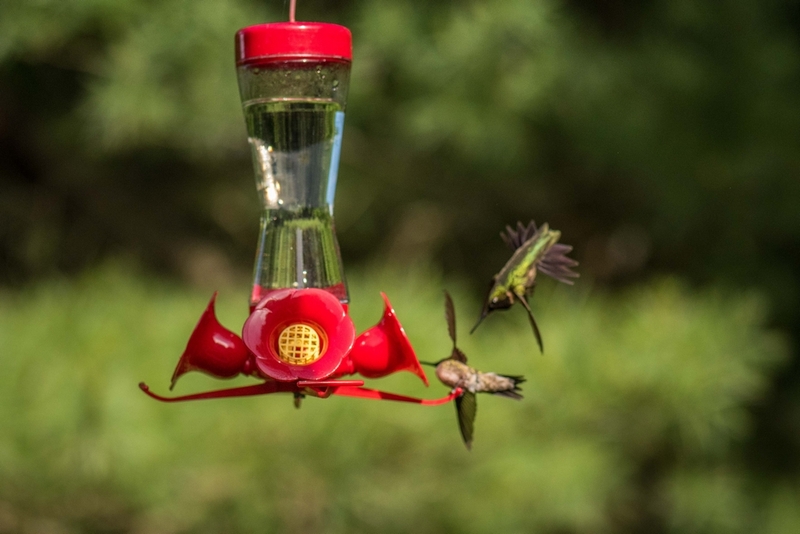 Although this next picture is not in focus, it is a fabulous capture of the alpha male chasing off another male hummingbird. Yes, they are upside-down and sideways. But they can look so restful.